Despite the confusion, admiration and idolatry have very different definitions; for idolatry symbolizes admiration overflow and can only be felt towards extremely influential people, them being so due to notable acts and such. 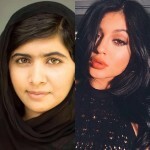 Two very famous women come to mind, and although they are extremely different in more ways than one, Kylie Jenner and Malala Yousafzai do have things in common as well. I will start by developing the similarities between both personalities, to then discuss the difference between the 18-year-olds. As previously stated, both Jenner and Yousafzai are recent 18-year-old women who have taken control over the media in the last two months, each for her own reasons which I will state later on. They have both influenced women and young girls all around the world by standing up for what they believe in. Kylie has been an influence when it comes to setting hair, makeup or even outfit trends whereas Malala stood up for girls of all ages when she fought for education and overcame a bullet shot in the head. Both of them also dedicate a lot of their time to charities and good causes. It is true that they have become idols in two completely different domains, but the characteristic stands either way, knowing that some people literally warship the ground each one of them walks on. However, although they have both conquered the media as well as young girls’ hearts, both women can easily be distinguished knowing that each one of them knows her own lifestyle and fights for what she thinks is worthy. Each one of them is famous for something and became so in her own way. We all know that Kylie Jenner instantly became famous, not only due to the E! series « Keeping Up With The Kardashians », but also gained more fame the last two years when she started to slowly separate herself from her family and using her physical appearance and good looks in order to win her own public, whereas Malala made it on her own thanks to her ideologies as well as her will to make a change. Earlier this year, both of the personalities turned 18. Jenner received a Ferrari and Yousafzai was named the youngest person ever to win a Nobel prize. Therefore, it is crucial to note that both women are very recognizable and talked about in each of their fields. Although they made it to where they are in different ways, all it takes from them is one word and an entire country would be up to the job. In my opinion, people today are blinded by the media and aim to fit in the materialistic society in which we live, which is why some choose to idolize reality television personalities like Kylie, and others prefer to admire activists such as Malala. It depends on the public, not the women previously mentioned, and who people feel confident looking up to. Being proactive in a society like ours is a must these days. There’s a lot of people nowadays that tend to work hard and be proactive towards the environment where they live. Being proactive is not easy, but at least we can try. First of all, here is a definition of being proactive: The adjective proactive can describe a person who gets things done. If you are proactive, you make things happen, instead of waiting for them to happen to you. The adjective proactive can describe a person who gets things done. If you are proactive, you make things happen, instead of waiting for them to happen to you. There are three theories of determinism defined by psychologist: genetic, psychic, environmental; and if the three of them are equal, then we can say that you are trying to be proactive. Also, there’s some important criteria to determine if you are proactive; which is the brain. We name it the biological determinism: the three brains: Neocortex which is the “raison”, the limbique which is the emotions, and the reptilien which is the defense. One important thing to always keep in mind; that we are not conditioned; and we have a total freedom to choose. To choose what? If you want to be proactive or not. And being proactive consists also in four important factors: Self-awarness, imagination, conscience, independent will. All of the above may lead to a proactive model to follow. 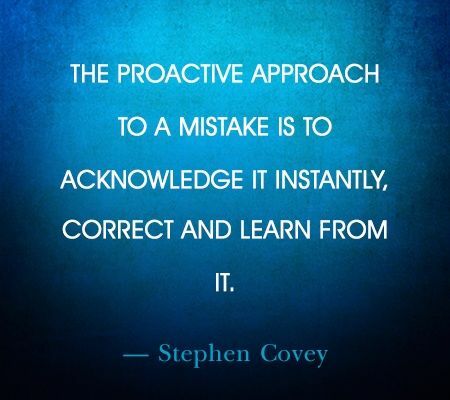 The question that you are probably asking now is : how to be proactive? First of all, you have to anticipate, act on it. Also, you have to learn how to take any initiative. In other words, you are who decide when and why take action. Second, you have to learn step by step how to change the language from a reactive one, to a proactive one. Third of all, we have to focus on our circle of influence and enlarge it. Nowadays, everyone has people that inspire him to do better or be better, and to become proactive means to enlarge that circle of inspirations and influencers by knowing who to choose and learn from them. Or simply, be inspired by them. And instead of being close to a circle of concern, be even closer to the circle of influencers. Also, learn how to have a direct control when it comes to problems involving our own behavior). And then, learn how to have an indirect control when it comes to problems involving other people’s behavior. And simply: change the method of influence. And when you don’t have any control when it comes to problem we can do nothing about: Accept it! And last but not least: you have to surround yourself with proactive people so you can get inspired and learn from them how be active, productive and positive. And this is how you can get a model for your mirror neurons!!! And after that, you should learn to always set smart goals and achieve them in order to achieve your bigger goal. And learning to have all of the above will make you one step closer to be a role model of proactivity. 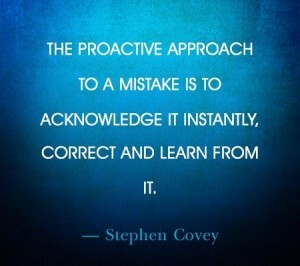 Being proactive is something we learn to be it. It’s a constant procedure and hard work and perseverance to get on step closer to being proactive. In a nutshell; being proactive is to learn every single day how to take the lead and take action, and in a society where there is a huge lack of people who are true leaders and know how and when take action , one must learn that being proactive is changing any difficult reality we tend to live, or see , or witness.